Greetings folks, and welcome back. Admittedly a little behind the current release buzz of the newest faction, The Adeptus Mechanicus (a long awaited faction for myself), my topic today is centered around the spiky chaps of Chaos. With so much to look forward to given their brand new codex of Khorne Daemonkin, Chaos has a lot of ground in which it covers. The army has two distinct feelings that dominate the design as a whole: Legions and Cults. But while the latter has been very well covered for the past few editions, the former has been very underwhelming. So with so much going on for Chaos (considering this most recent codex, the growth of the legions in Horus Heresy and it's potential implementation in GW, and the general idea that Chaos is up soon for revision), the army has the potential for a huge paradigm shift in how the design team can handle it. So lets look first at how the army has been, and technically currently is treated. 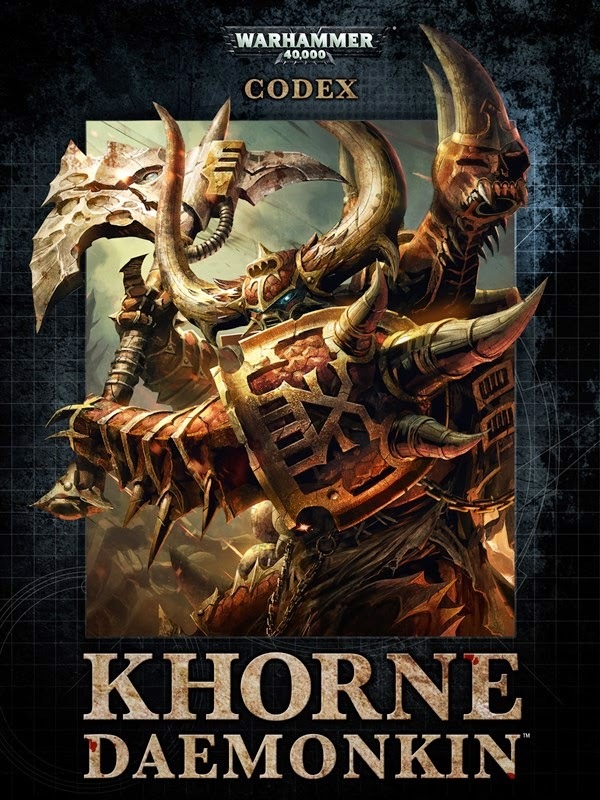 Codex Chaos Space Marines is more or less a stand alone book, which has a surprising number of supplement love (Black legion, Crimson Slaughter, and now Khorne Daemonkin). It is of course designed to really work well alongside Codex: Daemons, and can really have some fun with Codex: Renegades which now exists from the newly updated Seige of Vraks. The army has so much potential to do a lot of real work. There are few armies which have such a variety of potential builds, and most of them viable. But when we stop to look at the history of it all, Legions have felt surprisingly under represented, and the Cult forces highly expanded upon. I have actually been a pretty big fan of the overall style. I admit that I wish that there would have been a little more love designed into making the book a closer mirror to Blue codex, which houses standard units which are augmented by Chapter Tactics. While it can't be the same (Legions and Chapters are very different beasts after all), there could easily be more that makes the standard units able to feel like they belong to the separate legions. However, the army has had a lot of freedom to get some unique feeling by aligning the units with the different Dark Gods. So this in a way helps allow for some customization, and makes them feel like the army of Chaos... but both together might becoming not only confusing, but very breakable. If you think about the power boost certain armies in standard Codex: Space Marines get from chapter perks alone (I'm looking at you White Scars! ), imagine what would happen if you could then further make them more potent by giving them one of 4 Marks and/or Icons. This would quickly become a nightmare for game balance. So what can be done to make the army feel like it is new and capable of playing up both Legions and Cults with equal merit? Well believe it or not, I think what we see now may be the first step on that road to that outcome. Khorne Daemonkin represents a long awaited sighting of a cult army splat book. With this being the case, I can easily see the next set of releases for the army being the remaining 3 Chaos Gods. With these releases in place, the Cults would be very well covered, with unique relics, Warlord possibilities, and closer ally potential with Daemons, as we see in Khorne's book that they do not treat Khorne Daemons as having the Daemonic Instability rule. And to be honest it makes sense. The cult units and the daemons of the four Gods should have a closer bond than the other traitor legions should. So once we see these 4 Daemonkin books released, then we see the main Codex: Chaos Space Marines updated. Now within this book, I'll wager the cult units will probably be included, but as non-swapable Elite (possibly even Fast Attack and/or Heavy Support depending on how they update those units and alleviate bulk in the Elites section). I say this because Astra Militarum still has the Militarum Tempestus units in it, but not as expansive as they are within their own Codex. But even with their basic entries, the codex can then focus on it's primary focus, which is to create a "Chapter Tactics" system that represents the Legion or Warband feeling. We can even look to the supplement Black Legion to help direct that design. So we can basically think of the Cult books as being very well expanded upon books that mirror the non-codex chapter codexes loyalist marines have. My additional theory in the matter is that people seem very confused as to the absence of Kharn in the Khorne Daemonkin book. My thought is that the Cult Characters may easily become their own Dataslate entry, much like Cypher. This would allow them to be taken by their respective Daemonkin books, as well as the standard codex. The characters have been a part of the standard army for so long, I feel it would be a shame to prevent them from being taken without taking a whole supplemental force around them. Making them a standalone dataslate would really help keep them accessible to all Chaos players. 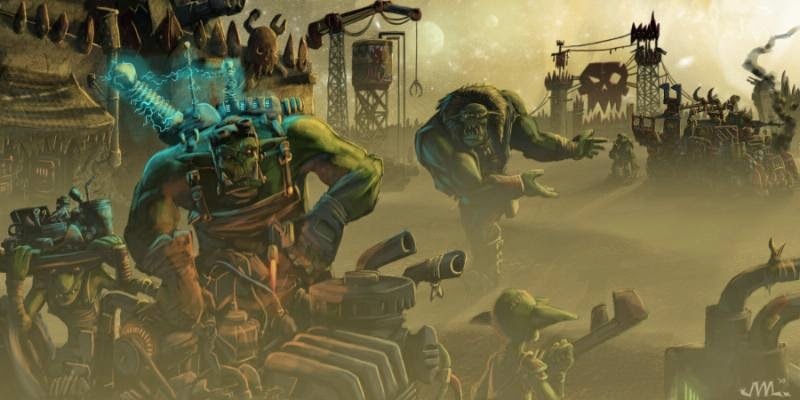 This all goes off what little I have seen with the latest release for the Chaos Boyz, but I think it might be a solid theory on where we might see the design of the army (or armies as it may be soon). A strong core Legion book, supplemented by Cult sub-factions, supplements, and of course the allied daemons and renegades would really work well to make Chaos feel well developed, highly customization, and most important... fun! this is what I'm hoping to see come sprawling forth from the Warp in the coming months. But only time will tell. For now, I'll just be content to drool over how pretty the Khorne Daemonkin book is. Good things on the horizon for the bad guys either way. The issue I take with 'dataslating' cult characters is that that means paying $5-15 to use a model. I don't believe we'll see the Legion characters data slate'd, in part because I don't believe KD features any of the Daemons named characters either. 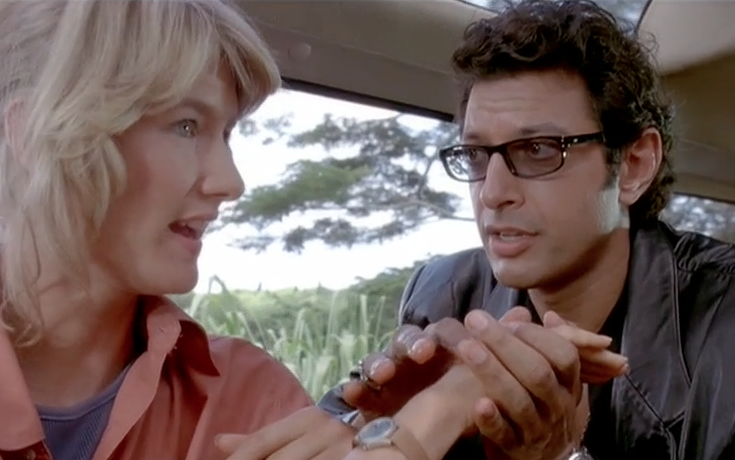 It's the notion that each parent book needs /some/ reason for you to play it. These are just emerging to make interesting ways for players to cross the streams. One the one hand, I can agree with Godfrey. It could be done that way. Lets face it, GW likes to make money where they can. But honestly I agree with Corvus. I doubt we'll see them turned into Dataslates. Judging by the release schedule, it'll be a while before even the other three Cult books get released.